I saw a couple of these posted, I will join in the bandwagon too. 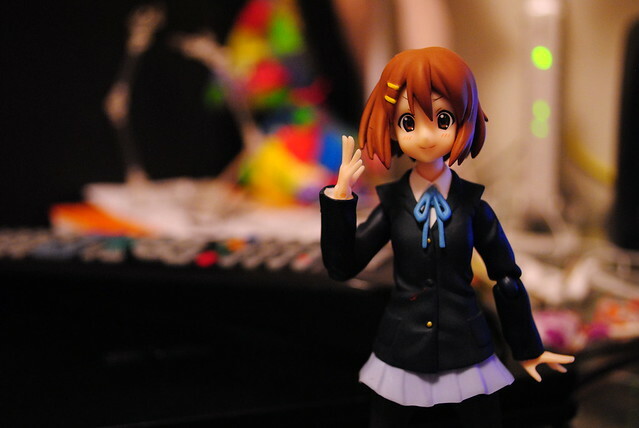 Totally unrelated picture was the last I took last year of a figure. The average container ship can carry about 4,500 containers. This blog was viewed about 18,000 times in 2010. (Lies Wordpress, I was a few hundred views away from reaching 20K) If each view were a shipping container, your blog would have filled about 4 fully loaded ships. In 2010, there were 65 new posts, growing the total archive of this blog to 83 posts. There were 69 pictures uploaded, taking up a total of 27mb. That's about 1 pictures per week. The busiest day of the year was September 17th with 151 views. The most popular post that day was I wont even bother complaining anymore!!!. The top referring sites in 2010 were figure.fm, otaku.fm, myfigurecollection.net, six002.blog119.fc2.com, and en.wordpress.com. Some visitors came searching, mostly for no more heroes, no more heroes 2, sailor moon dress up, heroes, and no more. Somehow, No More Heroes is really popular for some reason. I wrote one post about it and got a bunch of views thanks to that. I sure hope every single of those people who searched for No More Heroes bought both games in the series. They sure need the most sales they can get. I hope Wordpress sends another one of these for this year, I really want to compare it with last year's review.